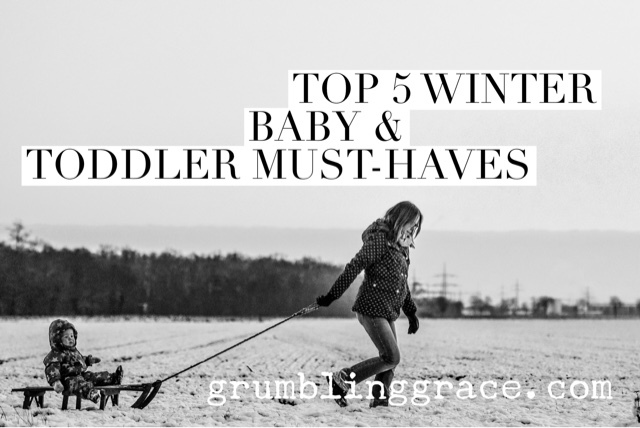 Here are my top 5 winter baby and toddler accessories that keep my kids warm! The ultimate in pregnancy and baby life hacks is still my number one choice for a shower gift if the mom lives somewhere cold. 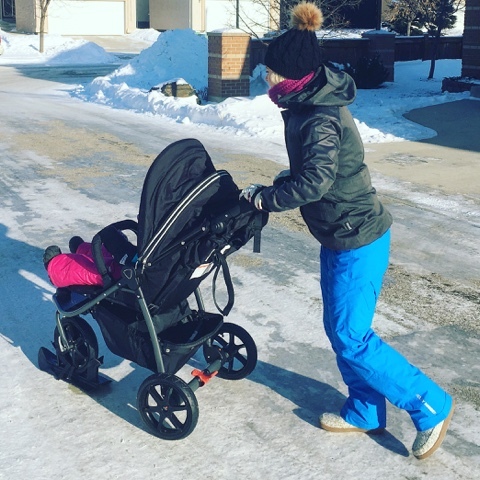 The Make My Belly Fit Jacket Extender allows you to keep wearing your normal coats during pregnancy, then baby carry under your regular coat, keeping baby toasty and comfy! I did a full review on it right here! When was Gabby ever this small?? Fabulous for as long as you front-carry. And you better believe I got my sister and sweet little niece hooked! 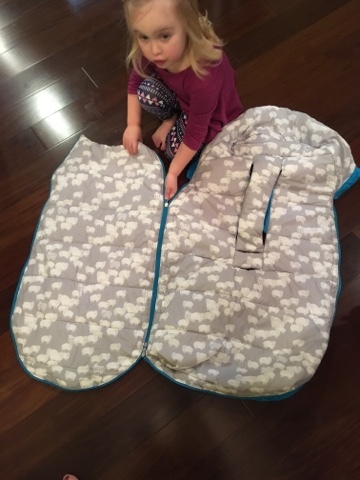 When the small Canadian business, Make My Belly Fit came out with ANOTHER amazing winter innovation for littles, I was stoked. 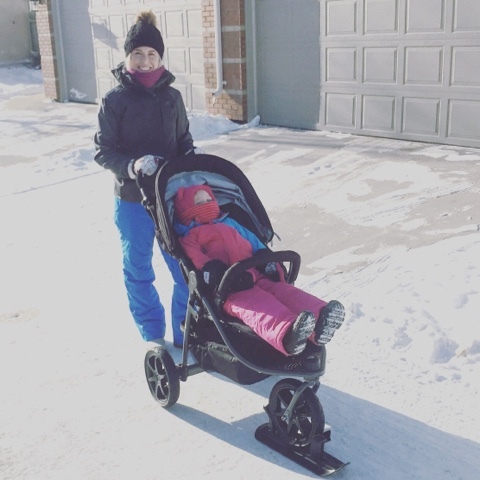 If you live somewhere snowy, check out these amazing skis for strollers by Premier Ski! You simply attach one ski to the front wheel(s) and you are gliding rather than struggling through snow! 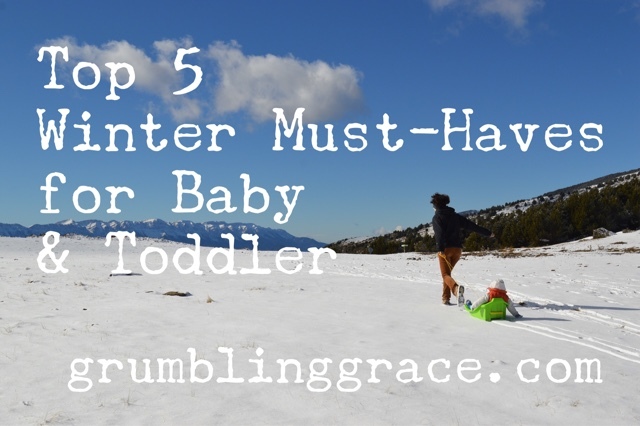 *Note: this works well with a slimmer stroller wheel and works equally well on running strollers! I know we've all seen the adorable little Stonz Booties, but have you seen their MITTENS? Gabby is the Houdini of toddlers and she cannot get these babies off, which is key in -40 weather. Warm and cozy with her Stonz Mitts! 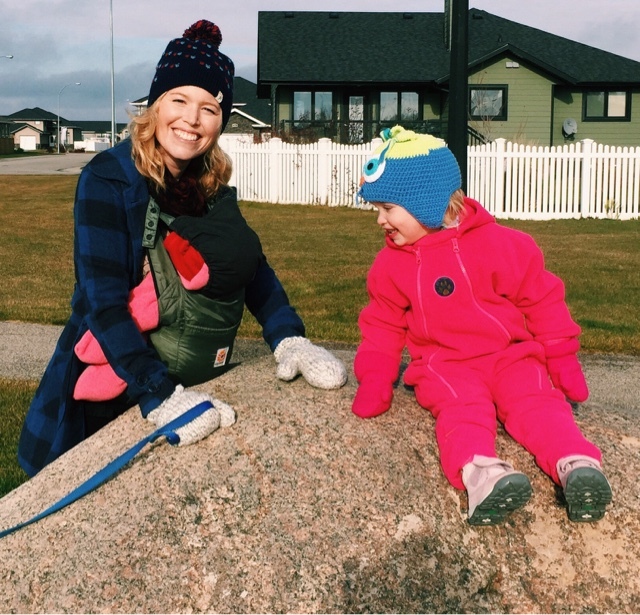 I'm completely sold on Stonz toddler and kids' mitts. I love that the youth mitts still go way up the arm and still cinch at the wrist and further up the forearm. Love these Youth Mittens! She likes having an opposable thumb. Emily has stayed toasty and dry and hasn't lost a mitt to a snowbank all winter. Two opposable thumbs up. I will be raving about MEC products until the day I die. What's the U.S. equivalent? REI? Anyway, I swear by the layered fleece, rainsuits and warmer snow suits made by this fabulous company. 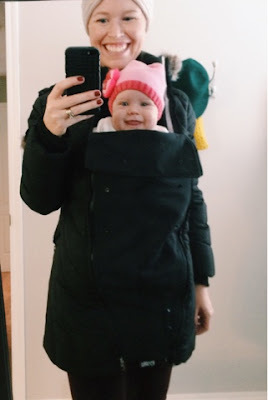 I love the versatility of keeping little hands and feet warm inside the suit with no need for mitts or boots (I use the fleece Ursus suit in the carseat as there is no added bulk) plus the bonus of being able to fold back the sleeves and legs. 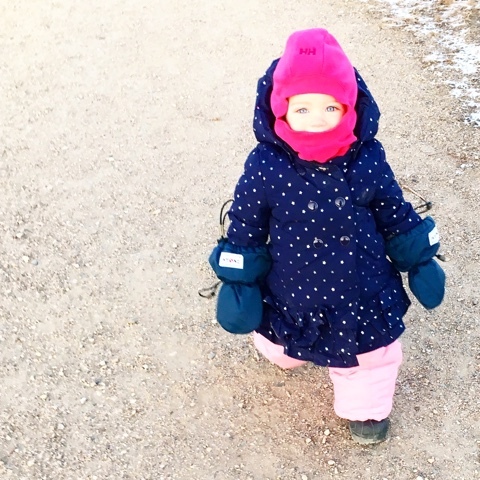 This adds at least 2 more sizes to the suit, letting growing hands and feet out, while adding boots and mitts as kids want to roam and explore. Yup, it's a MEC rainsuit! Fleece Ursus Suit with the hands and feet folded back. 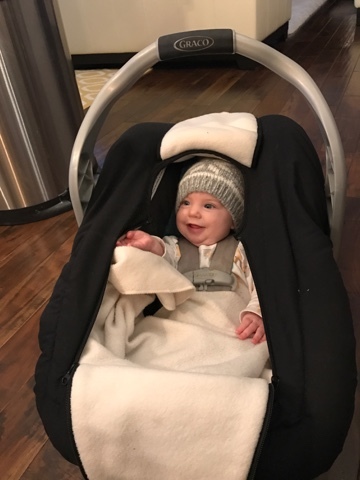 If you're living in a cooler clime and your infant is still using a bucket seat, there are so many toasty car seat covers available (or if you have a crafty Kathy in the family, they could probably whip one up for you)! Definitely make sure you do a little research as some car seat covers actually go underneath baby and aren't recommended for safety reasons. If you want to stay on the safe side, make sure your cover only goes over top of the car seat. We loved the Arctic Sneak a Peek by Jolly Jumper. We used this every day from October to April on both kids and I have NOT ONE photo of it. Seriously. Ridiculous. Why is it that the most everyday things are often undocumented, even with snaphappy moms like me? I had to text my sister (who is now using it with my adorable niece) to show you this little beauty in use! 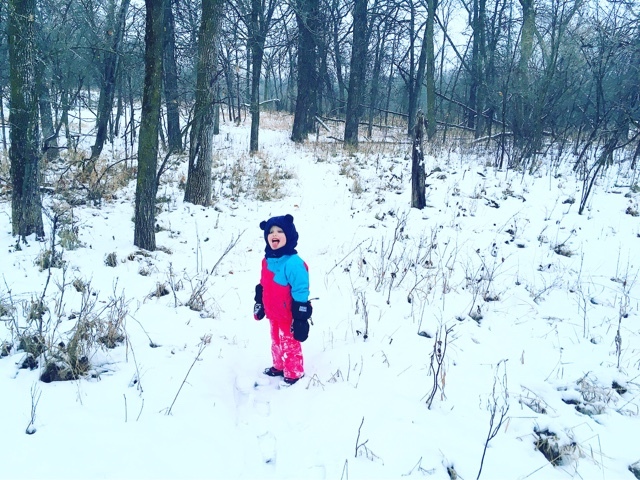 Adorable Natalie in her Arctic Sneak a Peek! Obviously I just wanted to show you my cute niece... 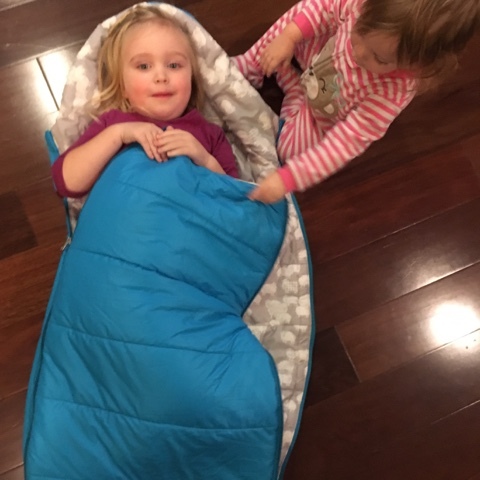 Anyway, we loved the additional fleece blanket inside and how easy it was to zip the outer layer up and down to get baby out. 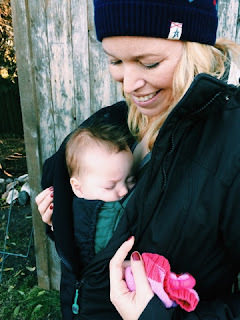 So soft, so washable, so easy = mom win. 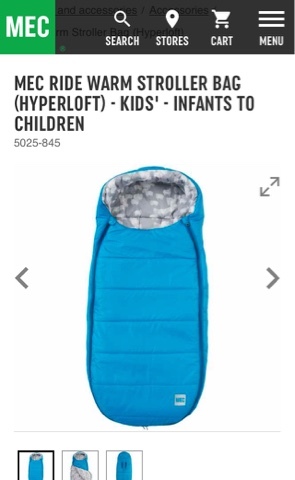 As kids grow, I feel like a good warm stroller bag is a great investment. We use ours over the kids in the car in their convertible carseats (just not behind them) and they are so cozy in the stroller. Depending on the bag you use, they can work from infant to youth. We have this one from MEC. (It doesn't look currently available on the MEC website but they do have other options if you search 'stroller bag' or 'bunting bag'). 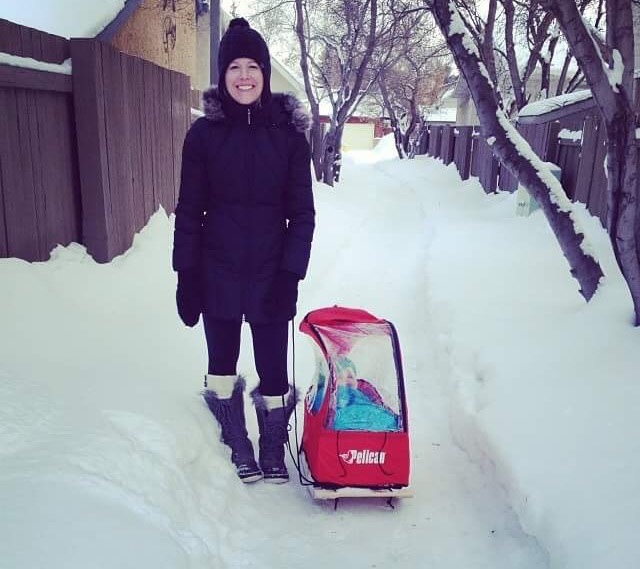 Here's baby Emily all cozy in her sled and stroller bag a few years ago during some cold Canadian weather! 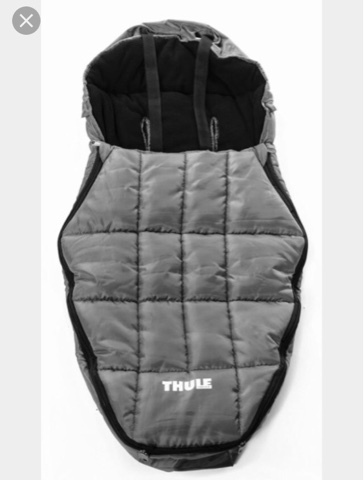 Most stroller bags can be used convertible car seats and stroller since they allow you to zip kids up snug as a bug in a rug in their harness (we choose not to put it behind the kids in the carseat and use it over them but the straps would fit through behind if desired). Here's current-day three-year-old (fitting size 5T clothing) Emily showing you that she still easily fits inside her cozy bag. And now she's demonstrating to me how it zips. Now I know. 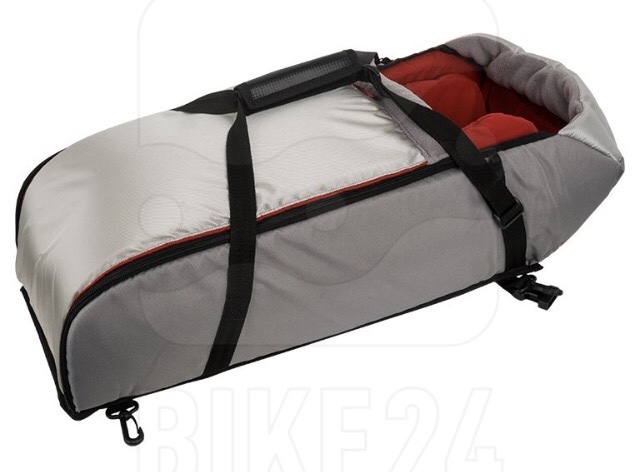 My sister has this structured Baby Bivvy Bag from Chariot and it is so cozy and feels very safe for smaller infants. 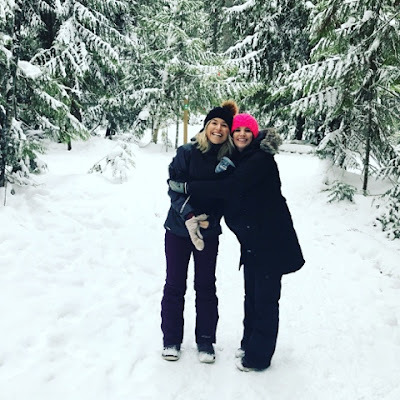 Apart from these keep-warm tips, to really get through these freezing, dark winter days, I recommend a lot of coffee for mom and maybe a tropical vacation (yup, even with bébé). Small plug for an awesome shop: If you're in Winnipeg (or you have THE INTERNET) and like shopping small, Tiny TreeHugger carries so many of these awesome products in one place through their online and real-life store! 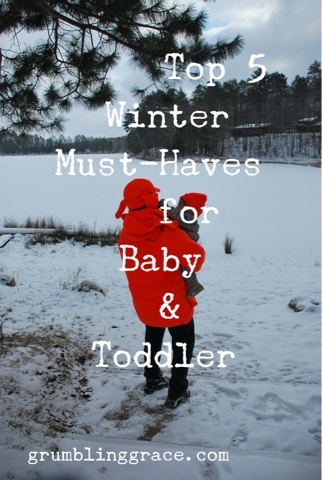 What are your favourite winter toddler or baby accessories? I'd love to know! Share below!